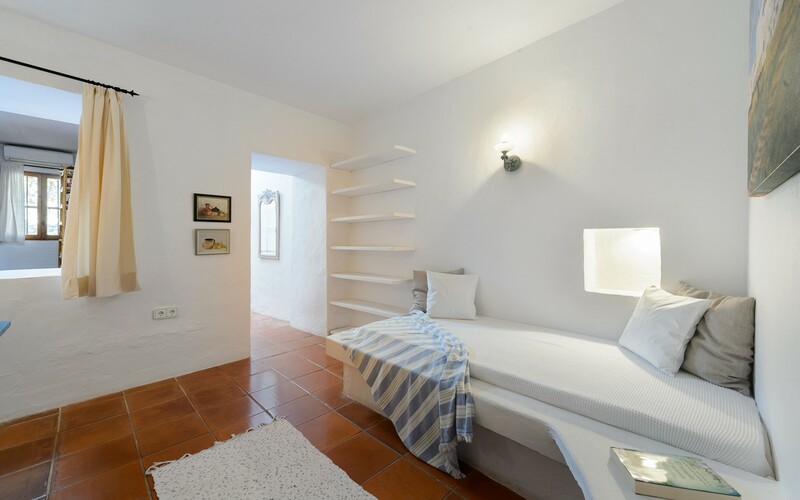 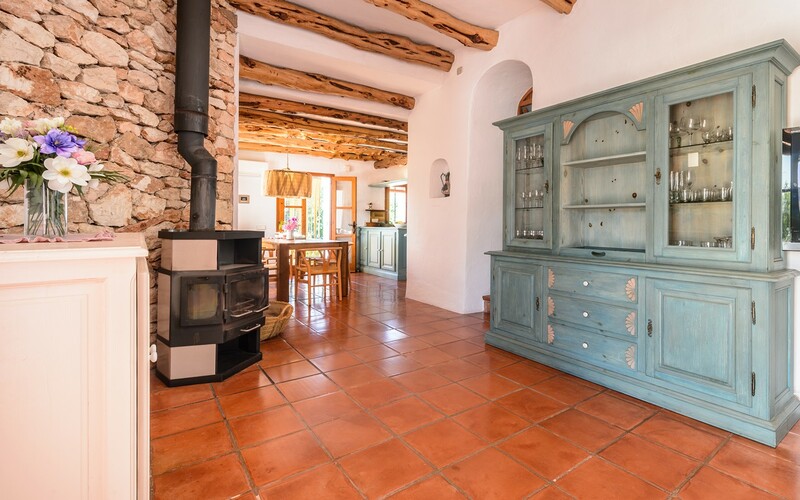 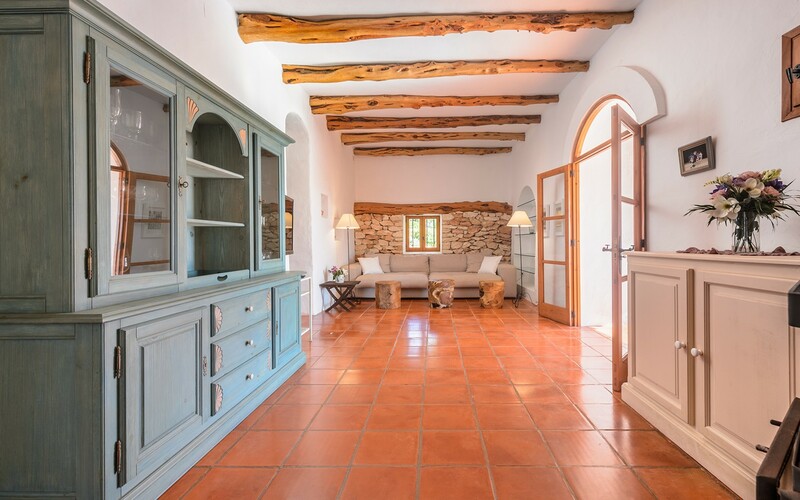 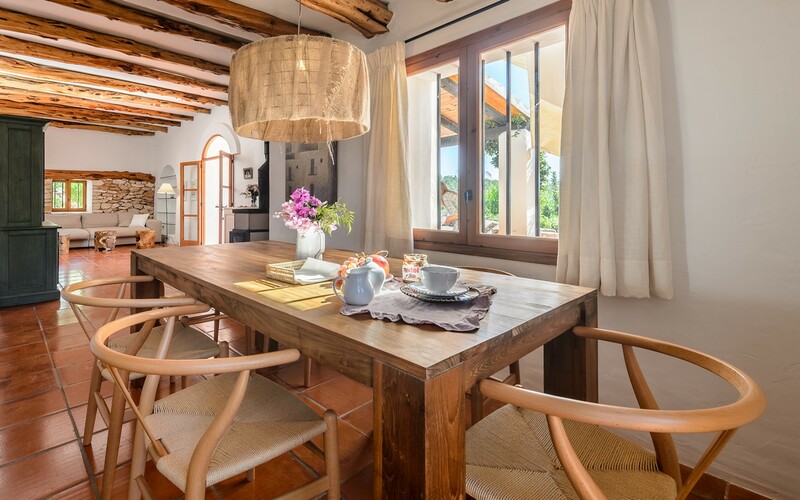 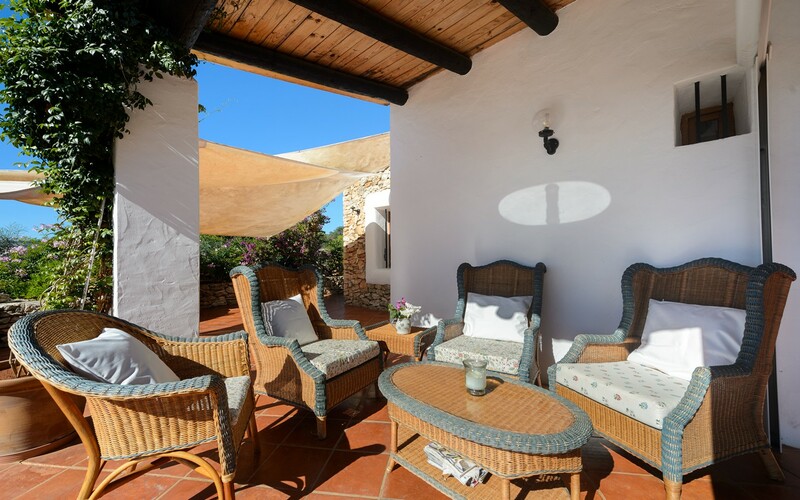 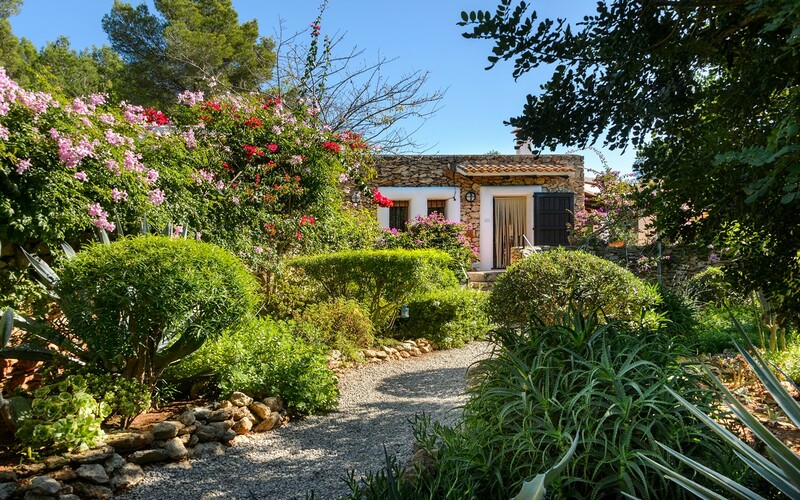 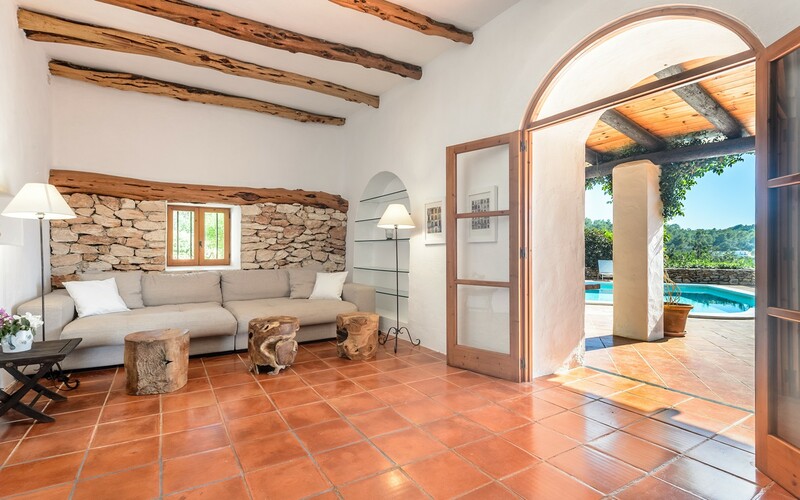 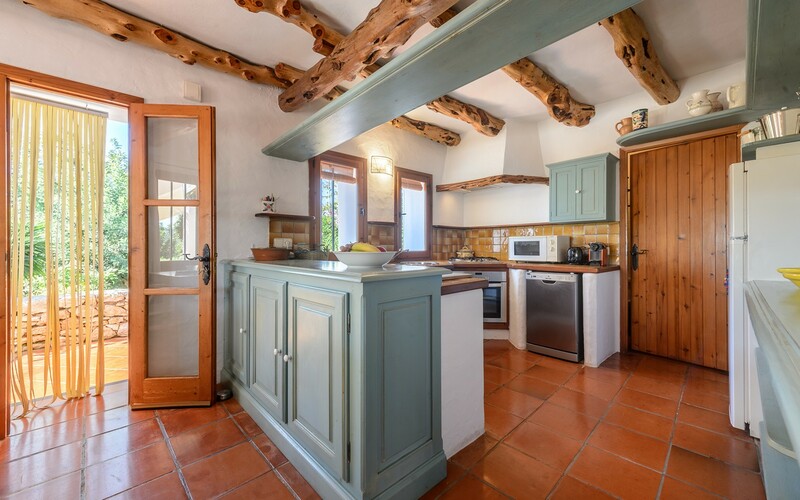 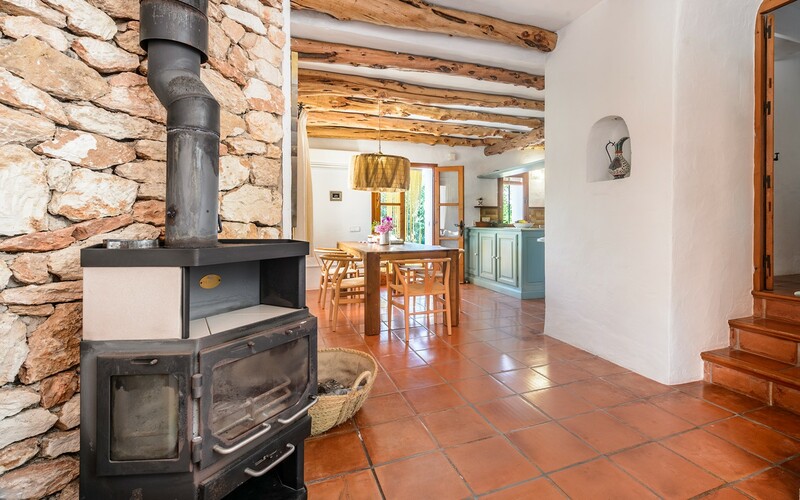 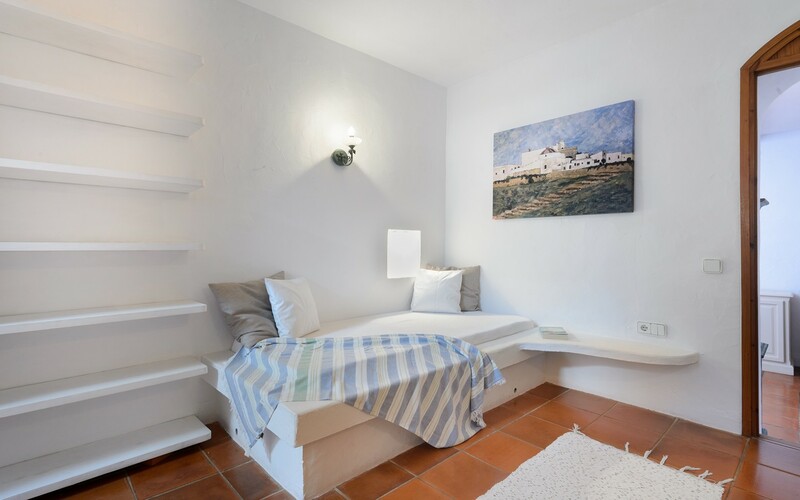 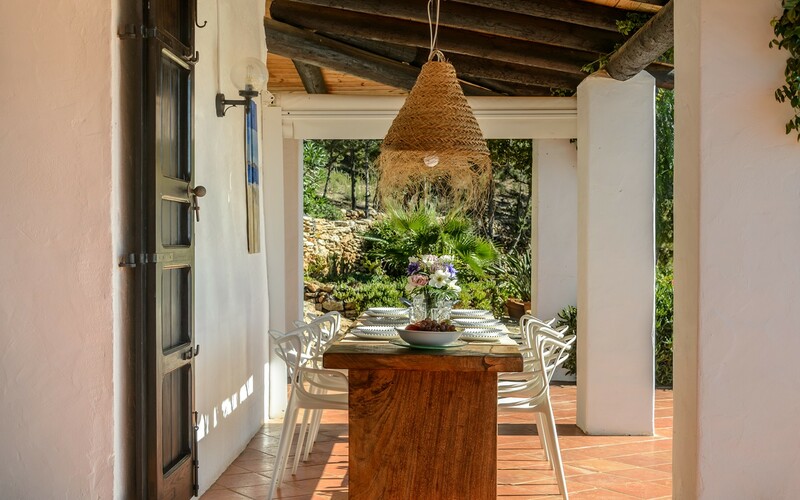 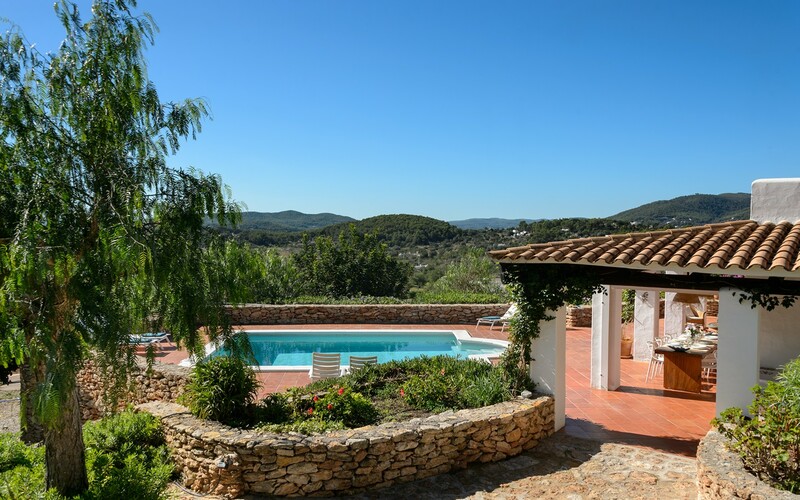 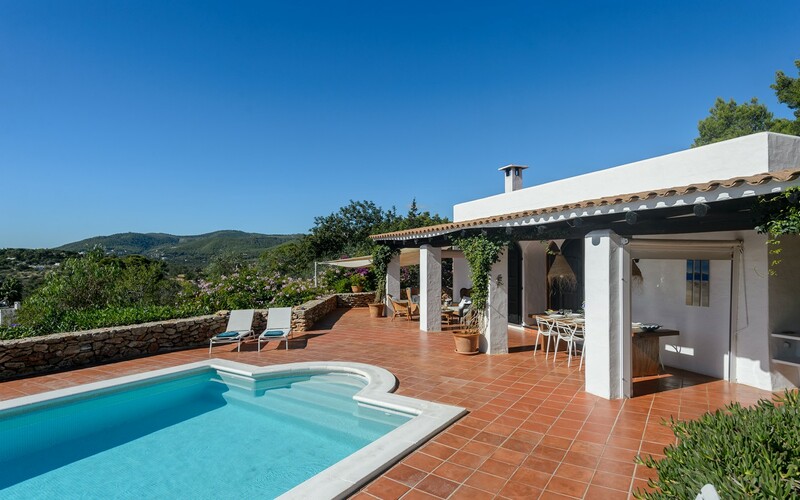 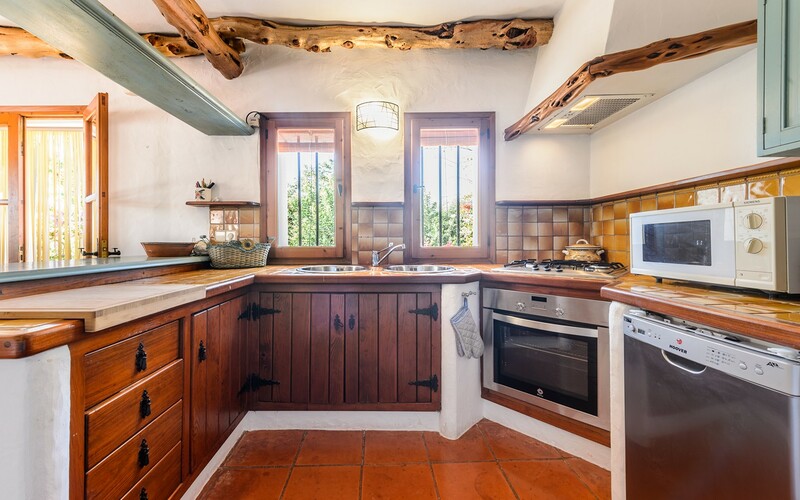 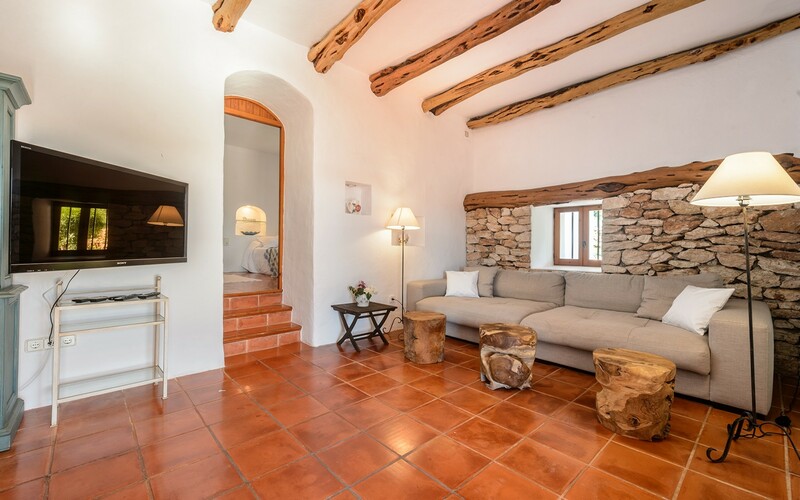 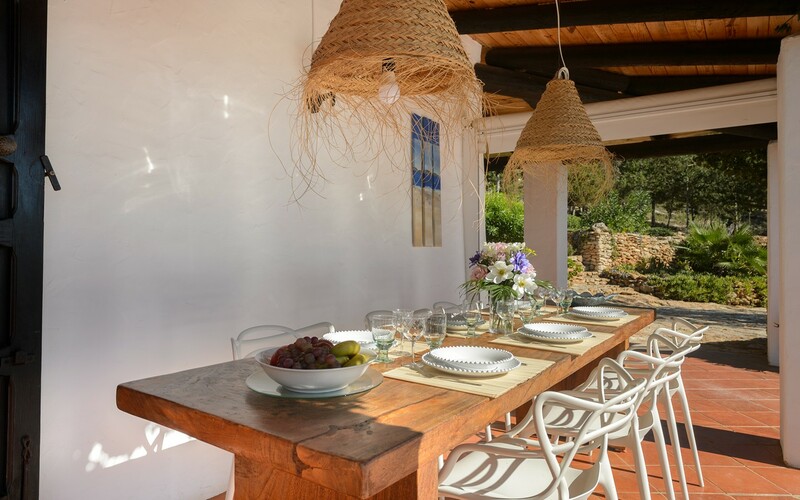 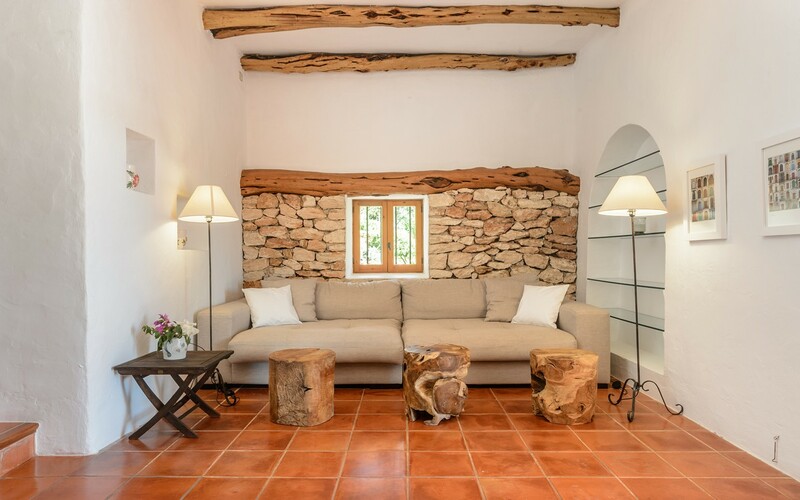 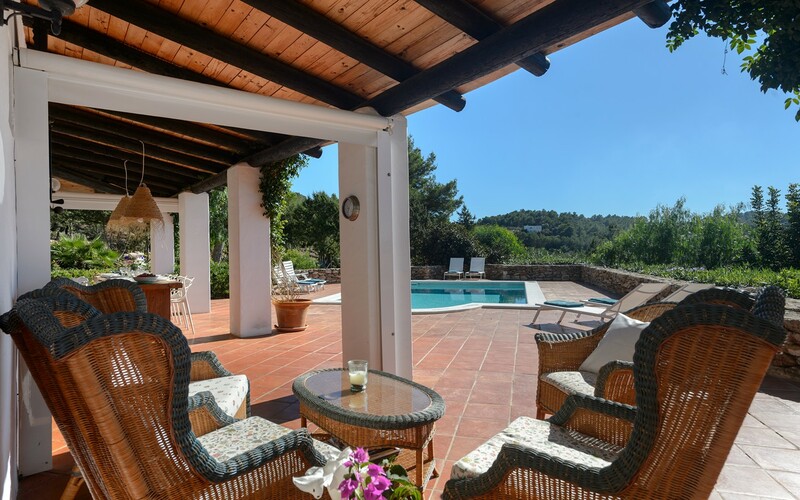 Villa Patri, ideal to relax and enjoy the holidays, spread over a single floor of 130 m2 and furnished in total Ibizenco style. 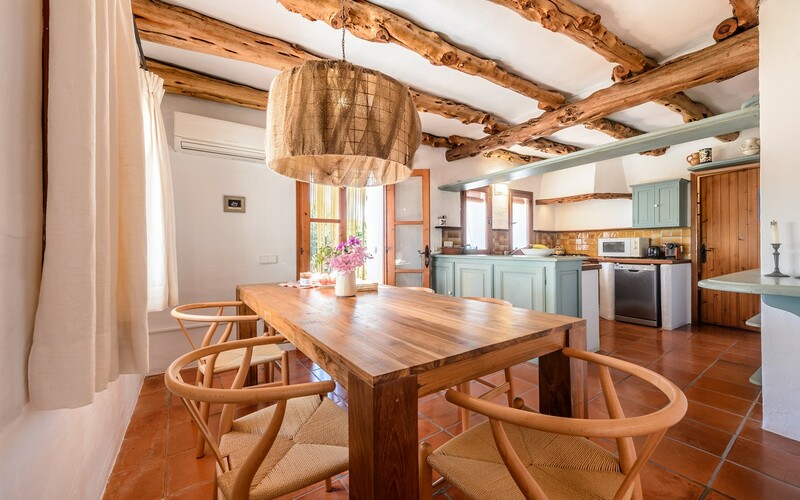 Entering the house we find a large living room composed of a dining table, a sofa and a well-equipped kitchen, three bedrooms and two bathrooms. 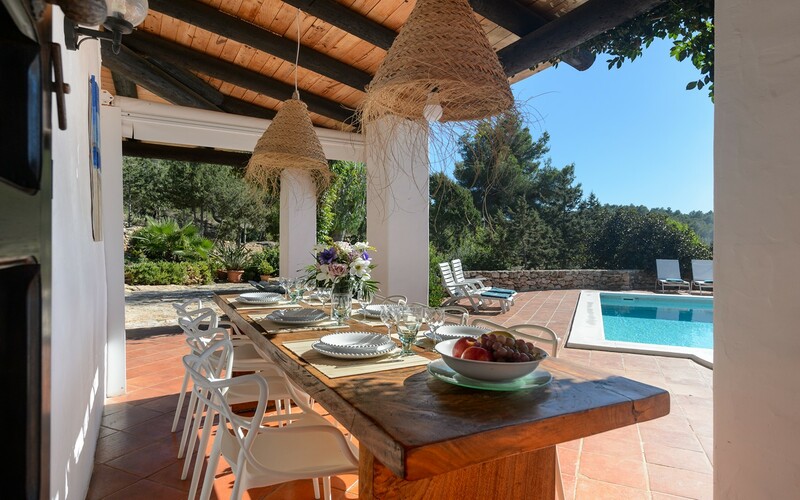 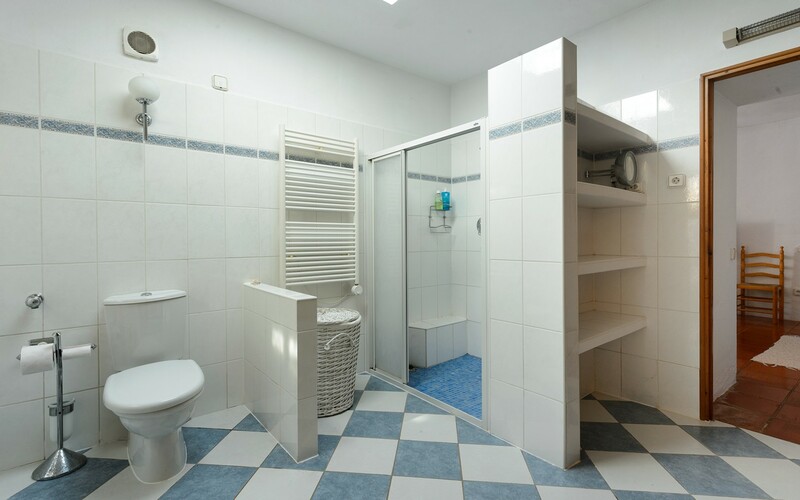 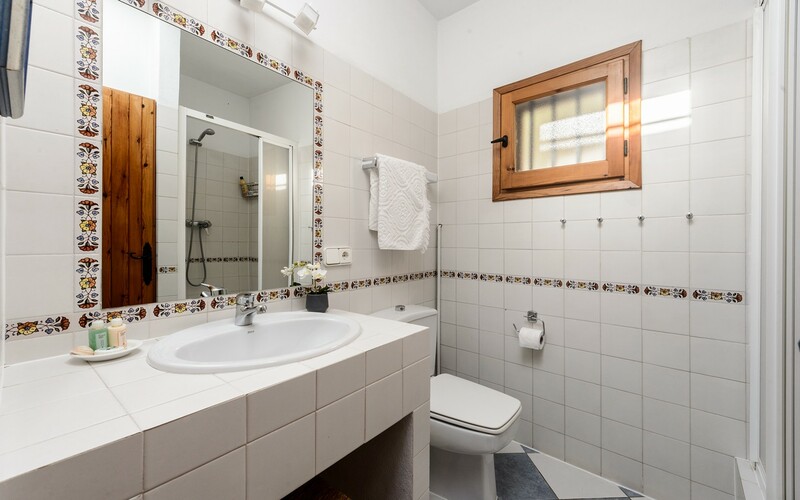 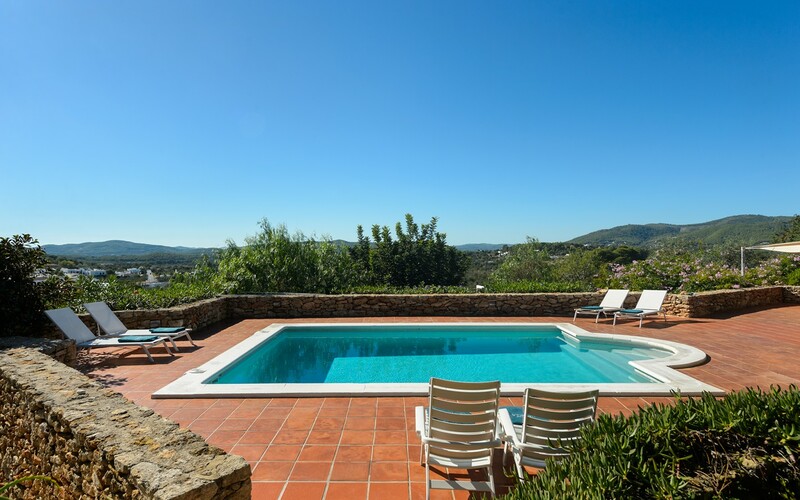 The house is surrounded by a large garden with barbecue, swimming pool and sunbathing area. 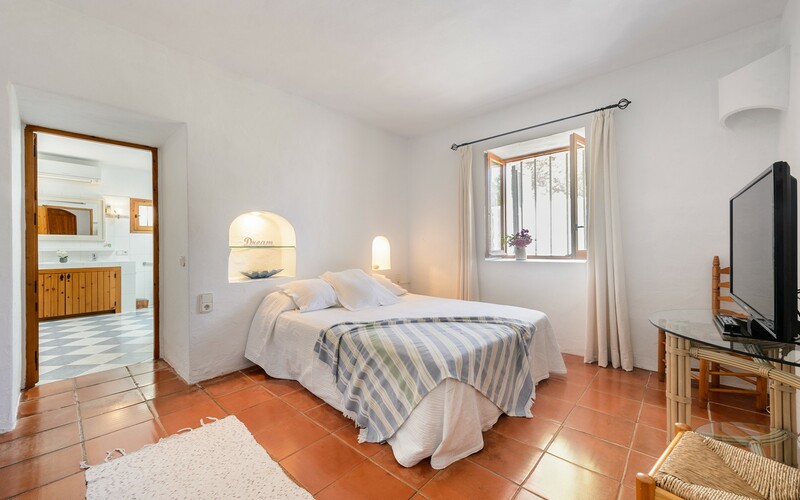 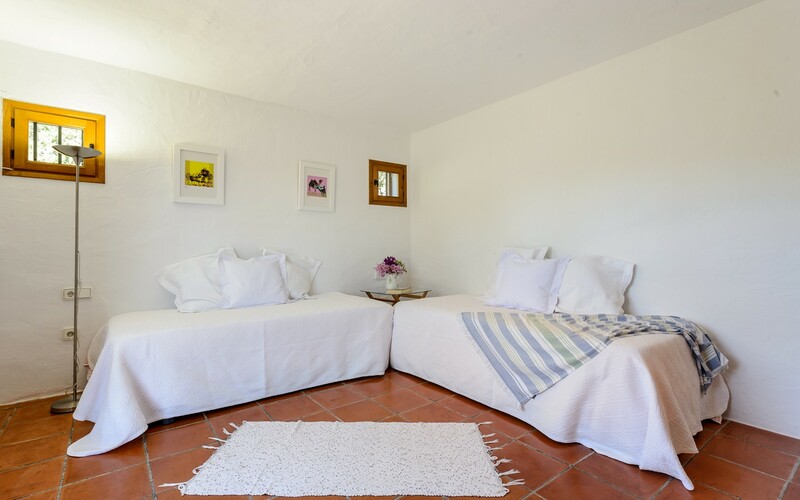 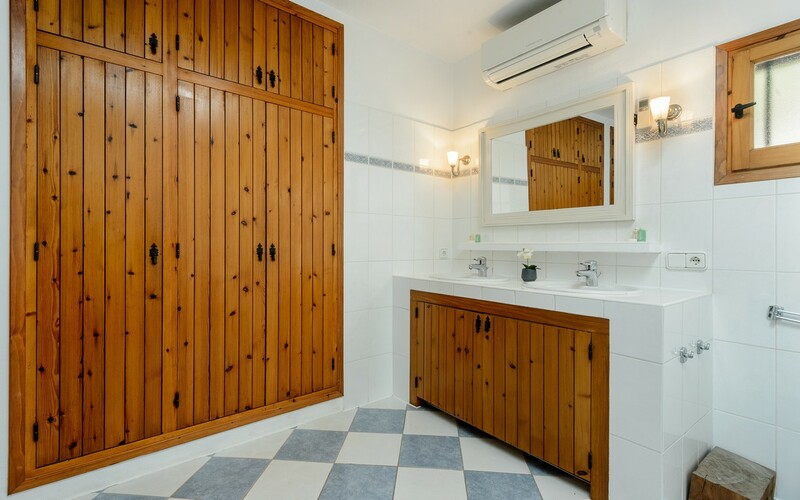 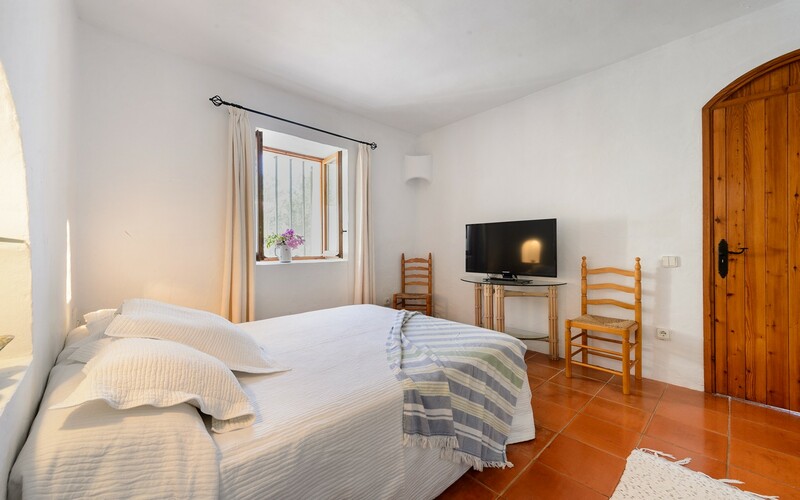 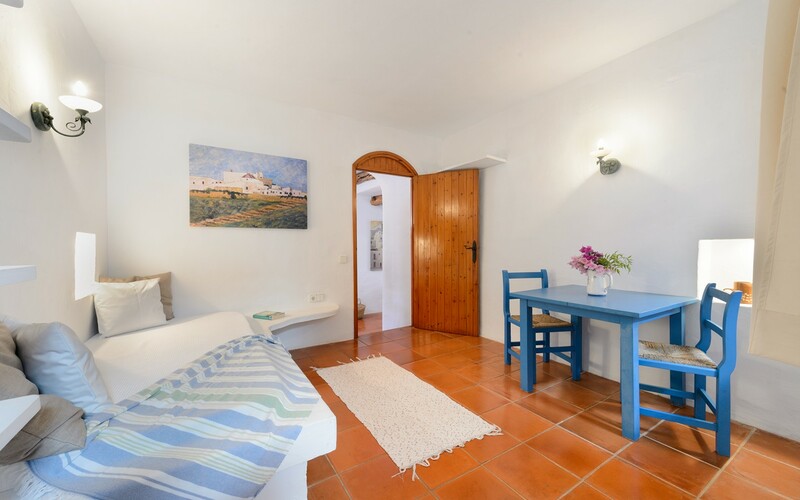 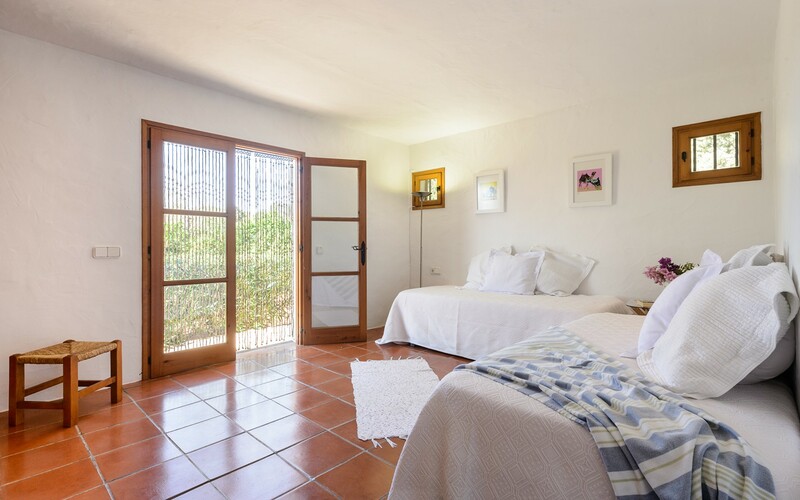 The villa is fully equipped with wi-fi and air conditioning in the living room and in some bedrooms. 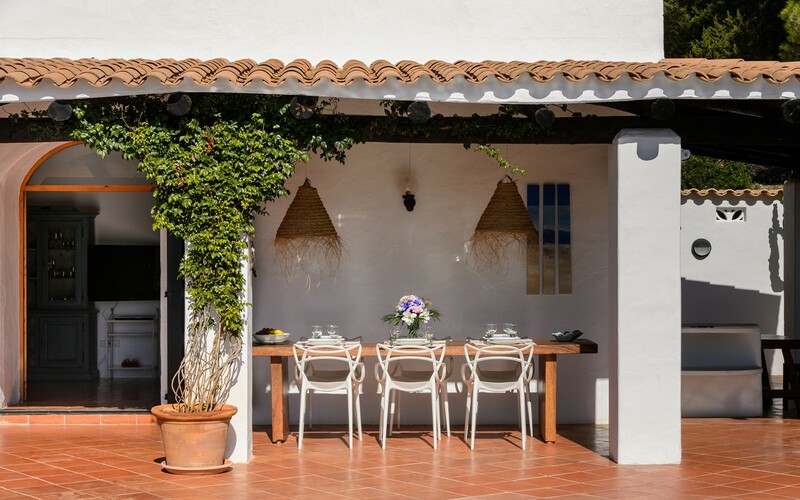 The village closest to the house is San Carlos, full of restaurants where you can enjoy a good plate of paella. 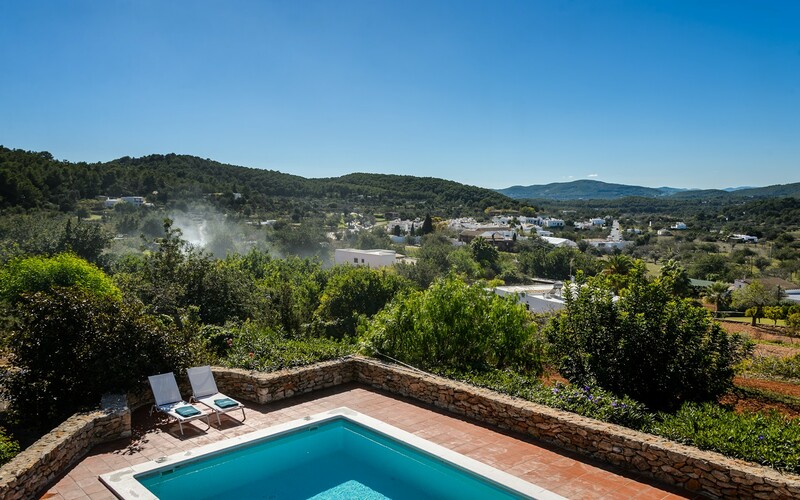 Only 4 km away we find the most beautiful beaches of Ibiza like Cala Lenya and Aguas Blanca, where the crystal clear sea and white sand make this island even more beautiful.